Anonymous hackers has leaked login and private information of more than 4000 U.S Bank executives , under their latest Operation Last Resort (#OpLastResort). Hackers usually choose the pastebin or Anonpaste site for leaking the compromised data. Interestingly, hackers chose a government website for publishing the data. They hacked into the Alabama Criminal Justice Information Center (acjic.alabama.gov) and published the data. "Now we have your attention America: Anonymous's Superbowl Commercial 4k banker d0x via the FED http://acjic.alabama.gov/documents/oops-we-did-it-again.html … #opLastResort #Anonymous" Hacker announced the attack in Twitter. 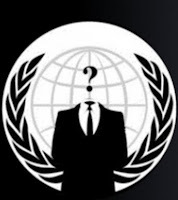 The data published by Anonymous contains Addresses, Business Phone numbers, Email addresses, Fax numbers, names, institutions, Login IDs, hashed passwords and titles. Based on the titles provided in the leak, the data are allegedly belong to Information Systems/Security Officer, EVP & Chief Financial Officer, President, Vice President, Managing Officer, CFO, Asst. Vice President and Cashier, CEO, Vice Chairman, Senior Vice President, BRANCH MANAGER and others.